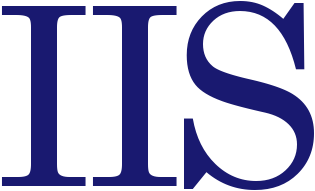 IIS performs a wide variety of innovative research in computer science and other technology topics. New approaches to computer network, algorithm design / development, edge computing, the use of Artificial Intelligence (AI), the security of mobile devices, and electronic device exploitation. Data Generation and Modeling – All AI model solutions require problem specific data. We have experience in Monte Carlo simulation / data generation and real time data collection and cataloging. Machine Learning (ML) – We have experience deploying custom algorithms including Artificial Neural Networks (ANN), Support Vector Machines (SVM), and likelihood methods that can use various edge or data center compute/storage/network services and can be optimized across CPU, GPU, or FPGA platforms as required by the target deployment. Deployment of new techniques in SWAP-C constrained environments is a priority. Embedded System and Edge Device Testing and Design –We work with microprocessor and FPGA platforms (including Raspberry PI, Arduino, PIC, Xilinx, MSP430, ATMega) that represent the edge device families found in embedded systems. Research includes algorithm optimization (speed and gate/instruction level power consumption), power side-channel analysis and security algorithm hardening, and new prototyping methods. Automated Test Platform – We can create and configure analog and digital data generation/collection and system under test equipment and software using National Instruments controllers (PXI-e), custom LabVIEW or C# scripts controlling test equipment (signal generators, timers, spectrum analyzers, oscilloscopes, etc.) via GPIB/Ethernet. Analysis and reports can be generated for device testing and characterization including power, signal, and behavior examination.